The Railroad in Smithville, Texas. 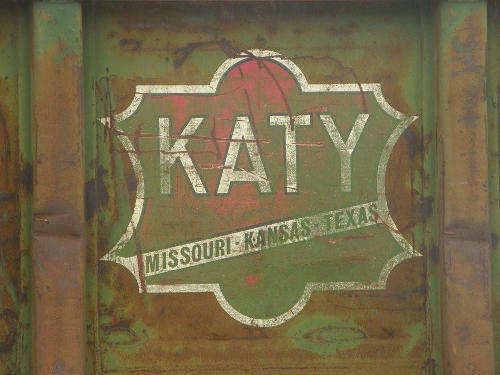 The KATY no longer exists, but artifacts can still be found on rolling stock. 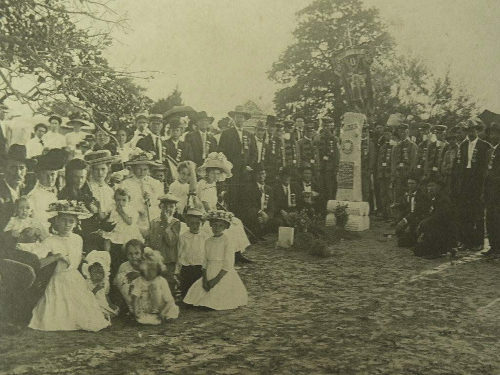 It’s fair to say that Smithville might well be one of the more insignificant towns between Austin and Houston if it wasn’t for the railroad. 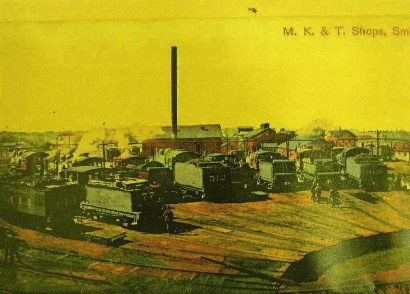 After the Missouri, Kansas and Texas (KATY) railroad acquired the old Taylor, Bastrop and Houston line in the early 1890s, the Katy built significant yards in Smithville, as well as a huge passenger depot and a two-story Railroad YMCA. 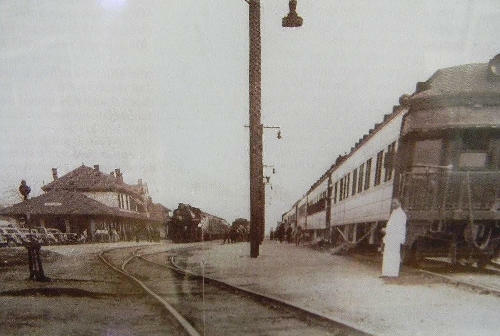 The railroad even dictated the layout of the town. 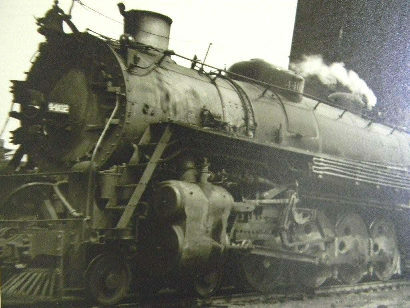 Hotels and the YMCA were located conveniently near the tracks while the railroad’s engineers clustered together in two story homes near the river – as far as they could get from the noise and grime of the roundhouse and yards. 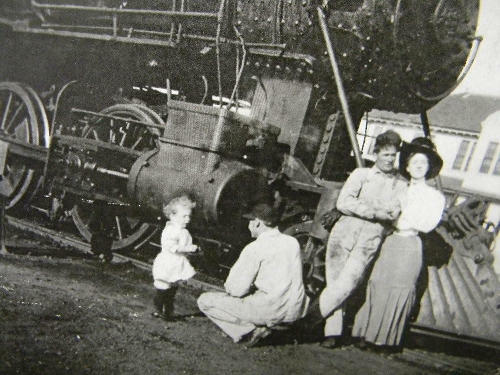 Smithville was the scene of the 1911 boiler explosion - perhaps the largest railroad disaster outside of collisions or derailments. 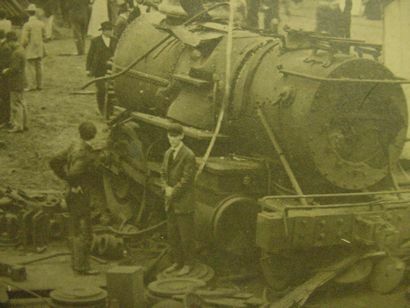 one of the men killed in the 1911 roundhouse accident. 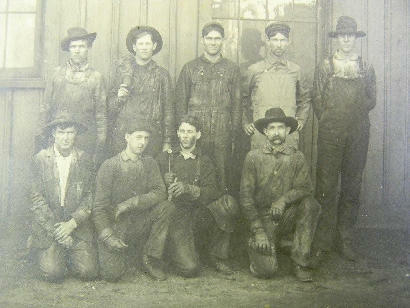 Eight out of nine railroad workers prefered the clean-shaven look around 1910. The third man from left (bottom row) appears to be considering sending a chisel into the kneecap of his co-worker. 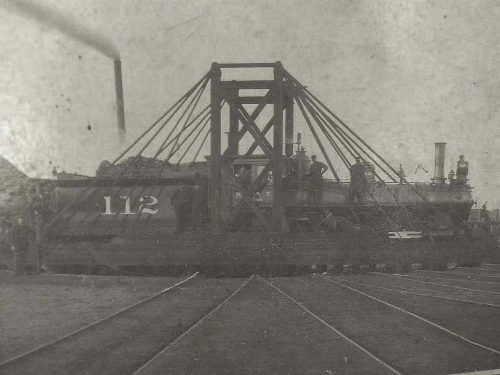 A "gallows" type turntable - the first of three used in the yards. Note smokestack in previous postcard. 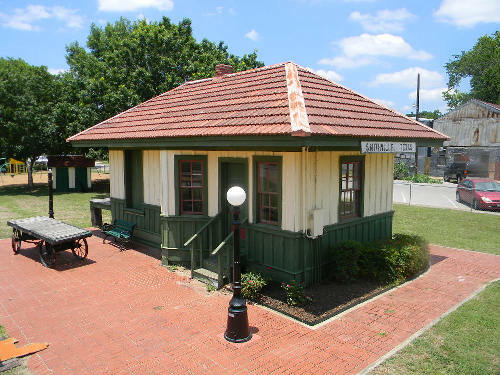 The railroading history of the town is preserved today in Smithville’s Railroad Museum (which shares space with the Smithville Chamber) in James Long Park at the southern end of Main Street. Beside the museum, which houses photos, and artifacts, an outdoor section includes an old depot (moved in from West Point, Texas) and several cabooses as well as a vintage section car.